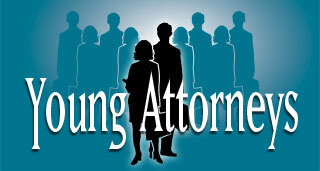 Join the Transcript as we recognize this year's up and coming legal stars with the fourth annual Young Attorneys honor. View the finalists here. San Diego County law firms maintain a competitive edge by attracting top attorneys as well as grooming outstanding young talent. In this special publication, The Daily Transcript recognizes the San Diego legal community’s up and coming stars with the fourth annual Young Attorneys honor. From cloud computing and e-discovery to Skype and social media, technology is continually changing the way lawyers practice law. When the economy collapsed in late 2008, the legal industry’s standard model of pricing -- the billable hour -- collapsed right with it. SAN FRANCISCO -- Three military veterans who were discharged under the law that prohibits gays from serving openly in uniform sued the government Monday to be reinstated and to pressure lawmakers to repeal the "don't ask, don't tell" law before a new Congress is sworn in. SAN FRANCISCO -- A judge on Friday refused to stop the sale of 11 state properties to a group of private investors, handing Gov. Arnold Schwarzenegger a legal victory as he seeks to close the deal before leaving office. LOS ANGELES -- A settlement reached between the state and the American Civil Liberties Union means California school districts will no longer charge parents extra fees for textbooks, art supplies and other basic educational items. WASHINGTON (AP) -- The Supreme Court on Friday agreed to decide whether generic drug makers can be sued for not warning about potentially dangerous side effects on their drug labels even when they follow federal rules that only require their labels to match those of their brand-name equivalents. The University of San Diego School of Law warmly congratulates Kriste Draper for being recognized as one of top 2010 Young Attorneys by The Daily Transcript. Draper, who directs the Homeless Youth Outreach Project (HYOP) at USD School of Law's Children's Advocacy Institute (CAI), began helping homeless youth at age 17 when she worked as an outreach counselor for Stand Up For Kids, providing food, clothing and mentoring to youth on the streets. After graduating from USD School of Law in 2006, Draper started HYOP as an Equal Justice Works Fellowship project. In her work with HYOP, Draper provides legal services and advocacy for San Diego County's homeless youth, helping to bridge the gap of access to available resources, housing, government agencies, courts, schools and other vital resources and services. Only 5 years old, the Gomez Law Firm continues its rapid ascension as one of California’s top injury and trial firms. This year again, the firm’s lawyers achieved some remarkable successes. Attorney Robert Hamparyan obtained a $1.4 million verdict in Los Angeles for a woman that suffered a knee injury when she was struck by a vehicle while crossing a street. He also was named a “Super Lawyer” in the personal injury field, and received an “Outstanding Trial Lawyer” award from Consumer Attorneys of San Diego for his recent $13 million dollar verdict in a brain injury case. Although the growing use of debit cards, credit cards and electronic ACH transfers has helped streamline operations, there’s still a need to deal with traditional paper checks. San Diego maintains a strong connection to the issues that shape our nation and world. Many of those responsible for the perspective behind key decisions were educated at the region’s schools, including California Western School of Law. A number of California Western alumni -- thanks to their skills, circumstances, or both -- find themselves working in areas that attract the spotlight, and which potentially could impact thousands, if not millions of lives.